You thought you’d seen the last of these right? Wrong. 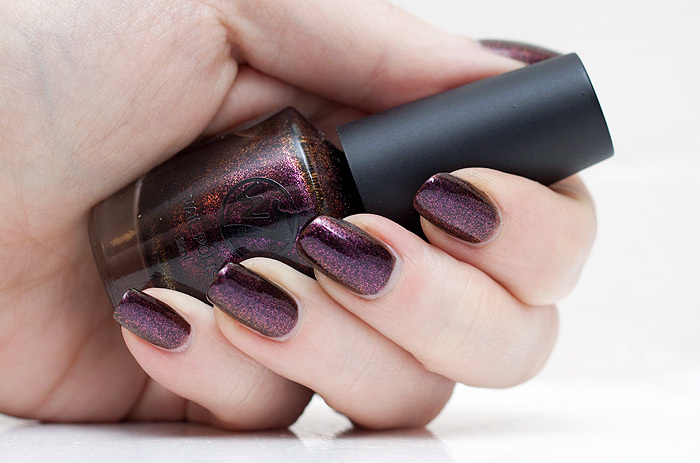 A thoroughly decent 2-coater, the duochrome effect is more apparent on this one in the bottle than it is on the nails but the lovely, almost flakie-effect makes up for any shortcomings. It irks me that W7 are clearly capable of such lovely polishes… most of their shades are completely blah. How awesome would it be if they stepped up their game in the shade stakes! The site I bought mine from now appears to be out of stock on most of the shades, but W7 Metallic Mercury is still available to purchase from FragranceMad (albeit at inflated prices). Make the most of the 3for2 and Free Delivery to soften the grumbles. Hmm, I actually thought this was Metallic Jupiter again, from the sets I have seen in TK Maxx they do a lot that are so similar, even in packs of 4 I have seen there are 2 almost dupes in them. W7 has recently been stocked at a pharmacy near me and i’ve been a little scared to try it but this colour is gorgeous! I might need to rethink that.